All transactions – whether deposits or spending – will be related to a bank account. Therefore, the first thing you need to do after registering is to create one or more bank accounts. In the most simplistic of budgets, you would have one account listed – your checking account. But, you may likely have other accounts you spend from such as multiple checking accounts, savings accounts, credit card accounts, PayPal, etc. Essentially they are the same, but the Automatic Import Account will store additional information that allows you to import your transactions with a click of a button, whereas the Manual Transaction Account will require you to enter each transaction manually, or log in to your bank, download a transaction file (QIF, OFX, & QFX format) and import your transactions into Inzolo. I will walk you through the steps of both. Inzolo uses the industry standard method of communicating with banks through Open Financial Exchange (OFX). 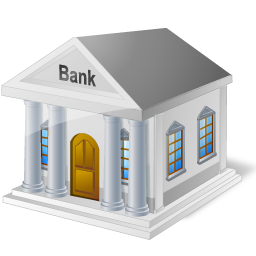 Many banks have a secure server to communicate with through this open API to retrieve account and transaction data. Unfortunately, not all banks have an OFX server, or some do, but do not make their server information publicly available. For those that do, this information can be found at ofxhome.com. Inzolo syncs with this database to maintain the most up-to-date OFX server information possible. Here is a current list of supported banks. Select your bank from the drop-down list, then enter your User ID or Account # (varies depending on bank) and your Password or Pin # (also varies depending on bank). As an example, my credit union requires my account number and pin number, my American Express account requires my username and password. Security Note: Obtaining OFX information is a read-only process. We only download information from your bank. We don’t have access to move money or make any changes. That said, we do protect your privacy. Account information is sent securely over 256-bit secure socket layer (SSL) encryption. For your convenience in downloading recent transactions, we store your login information, but it is also encrypted in our database and decrypted with salt hash at the time of sending it to your bank’s OFX server. For more information, see our security FAQ. After clicking continue, you should be taken to a screen to view your available accounts to connect to. Or, you may receive an error message in the upper right hand corner. This error message will usually contain an error message returned from your bank. A common error message received is Error 15500, which means “Invalid Signon”. See our FAQ for more information on this error. Check the boxes next to the account(s) you would like to create and connect to. Notice that you can change the Name of your account and also the opening balance date. Note that most OFX only provide the past 90 days worth of data. I recommend going back to the first day of the current month, which is the default. Going back farther will give your more transactions and can help you make budgeting decisions better, but you may not want to wade through that many transaction when you are first getting started. After selecting the accounts to create and import, click the Continue button to add create these bank accounts. Your should then see a list of your bank accounts with the account(s) you recently added. From here you can Edit, Delete, or Add another bank account. Pro Tip: I highly recommend simplifying your life and having only one checking account – even if, or especially if you are married. If your bank does not support OFX Direct Connect, fear not, you can still use Inzolo, and it’s still rather easy! Before creating a Manual Transaction Bank Account, it is a good idea to first determine the date you would like to start budgeting (I recommend the first day of the current month), then log in to your online banking and get your account balance on this date. You will then have the information you need to fille out the form below. For manual accounts, you don’t really need worry about the Bank name. “Generic Bank” will suffice. But you will want to give your bank account name a descriptive name if you are going to have more than one account. I use names like “AFCU Checking” and “Costco AMEX”. Enter the date you would like to start budgeting and the opening balance on that date, then click [Add Bank Account]. Again, you will be taken back to a list of your bank accounts where you can edit them, or add additional bank accounts. Change the name of your bank account to something more descriptive. Update your OFX password/pin if you have changed it. You have the ability to delete a bank account. I generally don’t recommend this as by default all transactions associated with your bank account will also be deleted. If you have been using Inzolo for a while, this could really mess up your budget. Instead, I suggest leaving the bank account in for archival purposes so you can always go back and retrieve past transaction data. But sometimes you may create an account on accident or just decide not to track a certain account. Therefore we give you the ability to delete bank accounts if you wish.